OW Bunker said the bankruptcy will be filed as soon as possible to the probate court in Aalborg, Denmark. OW Bunker today has announced that it has decided to file for bankruptcy, despite being given until December 1 to present a restructuring plan. The move follows yesterday's announcement that the bunker company had decided to file for commencement of in-court restructuring procedure in the wake of a massive $125 million fraud at the bunker company's Singapore-based subsidiary Dynamic Oil Trading (DoT), plus an additional risk management loss it estimated to be an additional $150 million. "The board of directors and management deeply regret to inform that it has not been possible to find a sustainable solution. As a consequence, OW Bunker A/S, O.W. Bunker & Trading A/S and O.W. 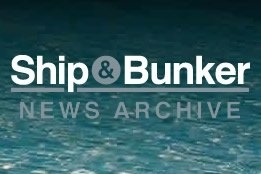 Supply & Trading A/S file for bankruptcy," OW Bunker said. On Wednesday, trading in OW Bunker's shares was suspended, and OW Bunker said Risk Management and EVP Jane Dahl Christensen had been dismissed over the risk management loss and the fraud was being investigated. Today, OW Bunker says that as a result of that internal investigation it has decided to report two key employees from Dynamic Oil Trading to the police pursuant to section 299 of the Danish penal code and to relieve them of duty immediately. OW Bunker did not identify the two employees by name. "Since the credit facility was closed down on Wednesday, the underlying business has eroded significantly. The banks hold mortgage over all receivables and consequently, without the provision of new, significant credit facilities in the immediate future, it is not possible to save the remaining business," said Chairman of the Board of Directors, Niels Henrik Jensen. "It is now clear that such facilities will not be made available. Nor is a sale as going concern a realistic option. We are therefore left with no option but to file for bankruptcy. On behalf of the entire board of directors and management, we deeply regret this outcome and the consequences affecting the company, its employees, shareholders and business partners." In a separate announcement later in the day, OW Bunker said the bankruptcy order in OW Bunker A/S had been issued at the probate court in Aalborg. Pernille Bigaard, Plesner and John Sommer Schmidt, Gorrissen Federspiel have been appointed as trustees of the bankruptcy estate.